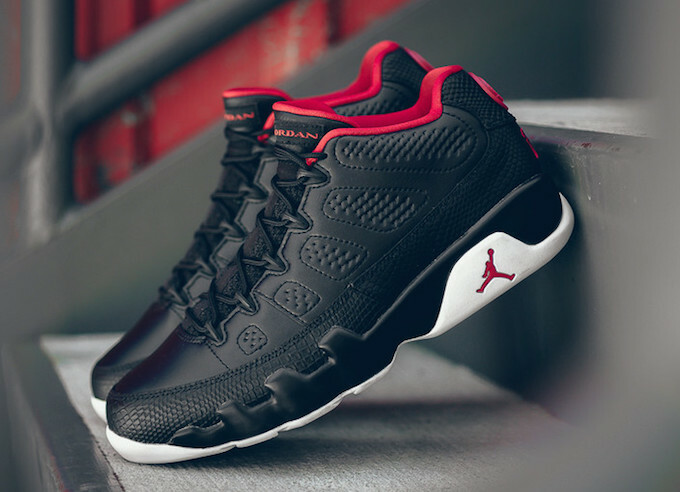 The Air Jordan 9 Low coming in a Black and White colourway was released last weekend. 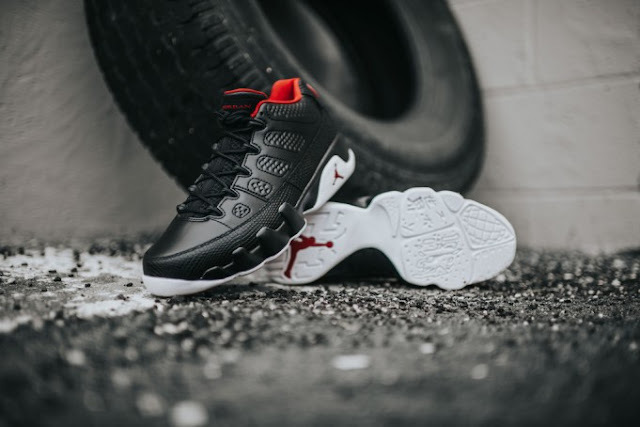 The Air Jordan 9 Low “Chicago” colourway looks a little similar to the Air Jordan 9 Low “Derek Anderson” but with a completely different build. Taking on a sleek black colourway, the pair includes contrasting hits of red throughout. 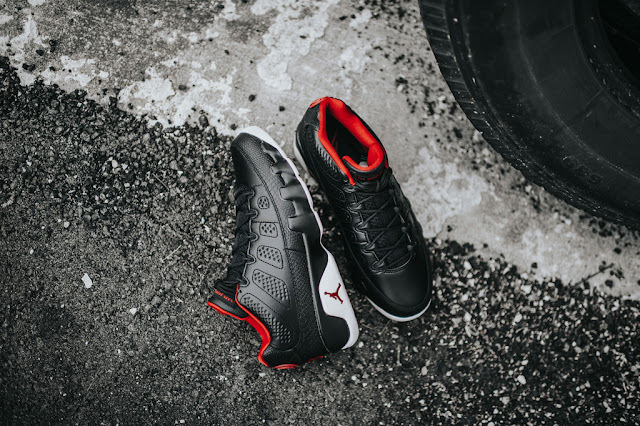 Dressed in the traditional Bred/Chicago Bulls colour scheme, the sneaker features a Black leather upper and tongues with matching Black snakeskin textured overlay on the mudguard and heel. Other details include Gym Red accents and a clean White rubber outsole. The Nike Air Jordan 9 Low Chicago is now available at selected retailers.